It’s been a busy couple of weeks, with extra days at work and such, and I’m going to be even more pushed for time over the next week or so. I’m heading home tomorrow morning to sunny Essex for the always-excellent Leigh Folk Festival so my usual Sunday post is going to have to be early. Next Friday I’m heading to Umbria with Mel for a long weekend of hilltop villages and awesome food. I’ll post something on Wednesday or Thursday before I go, but then you’ll be on your own until the following Wednesday or Thursday when I’m back and settled back into a normal working routine. In the meantime, I’m aware I’m falling back on favourite artists I’ve written about before, but it helps me to keep up a reasonable pace if I can write about something I’ve already listened to many times and digested properly. And any great artist deserves whole books, not just a couple of blog posts! I could write about some of these folks every week for a year, although I don’t know how many of you would still be here if I did. 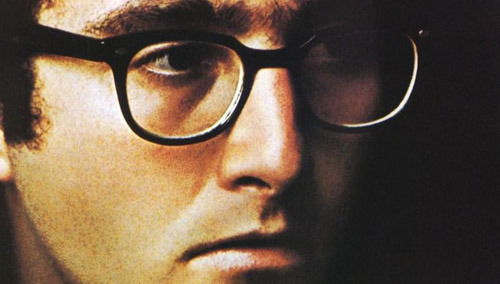 Randy Newman has no heir in popular music. He stands alone. There may be songwriters who are funny, some who have his sense of the grotesque (Tom Waits owes his post-Swordfish career to just one Newman song: Davy the Fat Boy); there are people who can write orchestra movie soundtracks, others who can write one-off title songs to order. Newman can do it all. And of the funny songwriters, there’s none funnier, not Steely Dan, not 10CC, not Terry Allen, not Warren Zevon (perhaps the closest rock has come to a second Randy Newman, though he had nothing like the musical range of the original), and certainly not those who explicitly set themselves up as comic songwriters. As the late Ian McDonald argued, Newman’s first album, from 1968, finds him already fully formed as an artist. The control of the orchestra was there. The talent for satire was there. The compression of meaning and incident into viable rock lyrics was there. It won him the instant admiration of his peers. They all seemed to appreciate that this guy was doing something they couldn’t, and many tried recording his songs. Harry Nilsson, who didn’t need to take songwriting lessons off anyone, cut a whole album’s worth. But his songs defy those who would cover them. As good as Newman’s words are on paper, they come alive in performance, but only his performance can bring them to their full potential. As croaky and ungainly as his voice may be on a technical level, he’s alive to every possibility of the phrasing and delivery in the words he writes. In the early seventies, Clive James wrote a series of columns about rock music for Cream magazine, concentrating mainly on lyrics. He tackled Dylan, the Beatles, Sandy Denny, the Band, Randy Newman and Van Morrison among others. His highest praise, in terms of lyrics, was reserved for the Band’s Robbie Robertson and Newman. I’ll leave the analysis to him: he’s covers it all, more clearly than I could. Consider I Think He’s Hiding: Newman has got his attentive absorption of cliché and his definitive sense of order both working at once. The clichés, delivered in a voice strangling with piety, create a world of pin-brained religious fear and smug certitude. The redeemer, alias the Big Boy, is called upon to return and sort the elect from the damned. But underneath the cretinous invocation of the holy name, Newman’s irony is subversively at work. ‘Come on Big Boy,’ sings the narrator: ‘Come and save us.’ There is a flurry of melisma on the word ‘save’, giving an idiotic air of devotions confidently sung in church or synagogue. ‘Come and look at what we’ve done,’ he adds, and we can hear Newman’s own judgements coming to the fore – he isn’t entirely impressed with mankind’s achievements. But there’s a capper: ‘With what you gave us.’ So the fault’s the Big Boy’s. After all, it’s the Big Boy who’s claiming to be omnipotent. James is not going overboard here. Everything that he finds in the lyric is in there, and that’s a hell of a lot of content. Most impressively, Newman’s not beating us over the head with 10-dollar words; there isn’t one word in the verse he quotes with more than one syllable. Newman’s solo albums would never again be as orchestrated, as 1940s-sounding, as his debut; from his second album onwards, he’d work within an idiom that more obviously had something to do with rock music. Yet his lyrics would remain as sharp for at least a decade, slackening only at the end of the seventies. And even after that, he retained the power to shock and surprise, as on, for example, Trouble in Paradise’s Christmas In Cape Town, another in a long line of devastating anti-racism songs. I’ve written about that album elsewhere. Click here for more Newman talk. This entry was posted in Music and tagged 10CC, Big Boy, Bob Dylan, Christmas in Cape Town, Clive James, Cream magazine, Davy the Fat Boy, Harry Nilsson, Ian McDonald, Leigh Folk Festival, lyrical analysis, lyrics, Randy Newman, Randy Newman Creates Something New Under the Sun, Robbie Robertson, Sandy Denny, Swordfishtrombones, Terry Allen, The Band, The Beatles, Tom Waits, Trouble in Paradise, Van Morrison, Warren Zevon on June 27, 2014 by rossjpalmer.